A new report – Losing Ground – by the Karen Human Rights Group documenting the land grabs by the Burma Army in Karen State was released this week in Bangkok at the Foreign Correspondent’s Club of Thailand. The report highlights cases of the Burma Army taking land in areas of Karen State, even though a ceasefire agreement was signed between the Karen National Union and Burma’s government in 2011. The land is confiscated to make way for development projects, displacing locals, the report says. The KHRG’s report is based ion documents and data collected between January 2011 and November 2012 in areas of South East Burma. The report indicates that natural resource extraction and business projects have fueled rights violations after a ceasefire agreement was signed between the Burma government and the Karen National Union (KNU) in 2012. 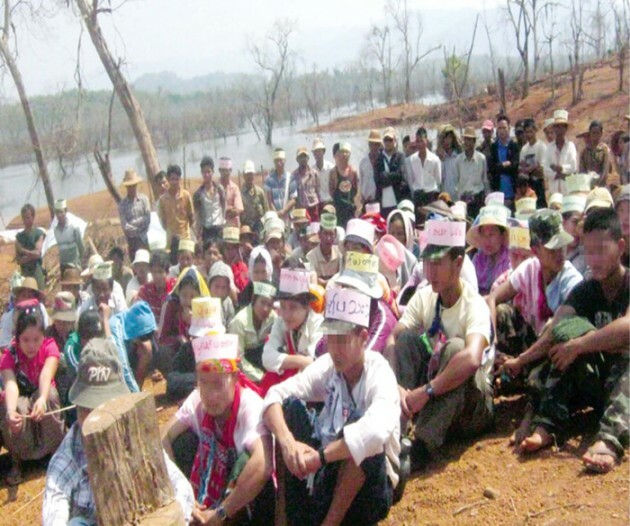 The KHRG reported includes residents’ testimonies about the threat of violence, land confiscation without compensation, the environmental impact of the Dawai mega deep-sea project and the Shweygin Dam project, and shows how both the government and the armed groups have failed to meet their ethical and legal obligations towards the communities of eastern Burma. The KHRG’s press conference was attended by the Students and Youth congress of Burma (SYCB), Asian Burma, organizations based in Bangkok, and over 50 news and media groups. The KHRG will send the report to international organizations, the Burmese government, the KNU, and business leaders.